they hacked, butchered, mutilated, maimed and wounded. a mirror of the economy, grew soggy with red. Chaka would have puked in envy. And the stars blinked in confusion. while the whole world cried xenophobia! dissections, analysis, explanations, commentary and deciphering. Genghis Khan would have clapped at their ferocity. Reasons for reading: Received this book as a gift from the author for a candid review. Ghanaian nurse Aurora ‘Ora’ Aikins never expected to find the love of her life while on vacation in South Africa. 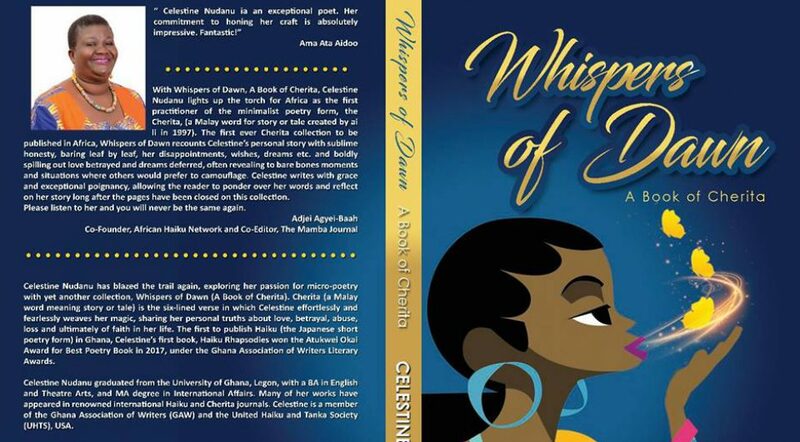 Engaged to another and believing that love has no place in her life, she returns to Ghana, and puts duty and honor first.Three years later, Dr. Jason Lartey still can’t get Ora out of his mind or his heart. After learning she never married, he takes a risk and moves to Ghana hoping to rekindle what they started. His sudden appearance in Ora’s Emergency Department sends sparks flying all over again.They’re in the same country, working in the same hospital, and together but distance creeps between them. Can they make their destined love one for the ages? When Aurora met and fell in love with Jason Lartey in South Africa, she was engaged to another man and she did the honourable thing. She broke off with Jason but never stopped loving him. Now three years later Jason hunts her down in Ghana and tries to woo her all over again. Aurora succumbs, having broken her engagement the moment she came from South Africa. Everything should have been smooth sailing, but it isn’t. Aurora has demons to fight and overcome before she can enjoy true love with Jason. The language is simple, and well-edited. The dialogue is full of humour, nothing forced. I actually felt like I knew the couple and some of the other minor characters in Midwife to Destiny. Esi, Aurora’s cousin had me in stitches most of the time and I yet I could have strangled her for always butting in at the wrong time. The author’s treatment of the medical scenes is also spot on. Nana Prah knows her stuff. I must say that I was expecting some hot sizzling scenes between Jason and Aurora. But this is a sweet romance, not hot or erotica. And so that is fine. Midwife to Destiny is a great book and I recommend it to all lovers of romance and also to those who wish to delve into the Ghanaian medical scene. Nana Prah was born in Ghana, West Africa, raised in the US and currently resides in Ghana where she loves her job as a writer and nurse educator. She has been writing since she can remember (in her journal) ans had been an avid reader of romance novels since eighth grade. She has finally been able to utilise the years of inadvertent research into writing her own romance novels where love always conquers all! Two best friends, more like blood brothers, Maru and Moleka become fast and sworn enemies over the love of one woman, Margaret Cadmore, a Masarwa who has come to the village of Dilepe to take up a teaching position. Born by the roadside (of all places, perhaps to reinforce her insignificance as person of the Masarwa tribe) Margaret is adopted by a white wife of a missionary, Margaret Cadmore, whose name young Margaret bears. She rises above intense racial discrimination to become a teacher in Dilepe. And that is where she becomes the subject of much interest, intrigue, hatred plots and counter plots to run her out-of-town because the ‘authorities’ can just not stand their children being taught by a lowly slave. The racial prejudice is very palpable and Margret’s discovery that her own Masarwa people in this remote Botswana village are treated as outcasts only sets her more determined to stand up proudly and affirm her heritage. And she does this in her quiet and unassuming way so that her loneliness even while basking in the friendship offered by Dikeledi, the daughter of the Chief of Dilepe, only adds to the mystery surrounding her being. The complicated love story and intrigue perpetuated by Maru, Dikeledi’s brother and Moleke, Dikeledi’s boyfriend who does not requite her love serves as a backdrop against which the more poignant themes of racial hatred and categories, traditional caste systems and the effects of colonialism on the African people are highlighted. Margaret also serves as catalyst for change in Dilepe. Moleka wants to marry Margaret, but is fearful of going against the prejudices in his village. Maru, the man with vision, sees that marriage with Margaret is an opportunity to change the prejudices and racial divisions among the people in Botswana. Maru is one big flashback without chapters and this makes for an easy and fast read. There is a bit of mysticism and or surrealism involved here; but for me that makes the novel more African than anything since Africa is a whole big mystery. Having said that I must say that though I admired the character of Maru, I did not endorse his ‘caveman tactics’ of how he eventually got Margaret to marry him. But then that could be debatable. It is significant to mention that when Maru was published in 1971, Bessie Head was seriously ill with depression and delusions and she snapped. Maru comes highly recommended for all overs of African literature and lovers of brilliant blend of complicated plot, surrealism and intrigue. Bessie Head would have turned 76 on the 6th of July 2013. 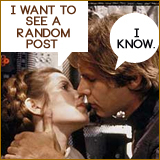 In celebrating her life and works, Kinna Reads is hosting this special event on her blog from July 6 to 12. Kindly do a hop over for more. Bessie Amelia Head (nee Emery) never knew her real parents: she was born in a psychiatric hospital in Pietermaritzburg, South Africa, to a wealthy but unstable white woman and a black servant at a time when interracial relationships were illegal in South Africa. 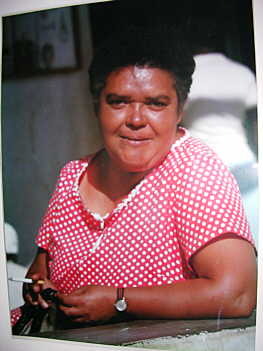 Her maternal family had Bessie Head’s mother declared mentally ill in order to remove her pregnant mother from apartheid white society. Bessie was given up for adoption as an infant then at age 13, taken to an orphanage. By age 18, she’d been subjected to humiliation, cruelty, racial segregation and gender discrimination by racist white society and its affiliated institutions. She also had to worry about her own “delicate nervous balance”. Bessie left apartheid South Africa in 1964, and never returned to the land of her birth. She settled in Serowe, Botswana where she lived the rest of her life. For most part, Bessie Head suffered from mental illness and was frequently hospitalized for bouts of depression. Her life was a traumatic one and she drew heavily upon her own personal experiences for her novels. At the time of her death in 1986, she had become a famous writer known all around the world. Sometime in 1985, suddenly, came murmurings of a woman writer, living in Botswana and struggling to survive. She was on the verge of bankruptcy, she was sick, she was estranged from her family, she was brilliant, she was Bessie Head. To my young mind, the entry of Bessie Head into my life was marked with alarm, dismay, panic and pain. The murmuring rose to a crescendo. Then in early 1986, just as suddenly, came the announcement of her death. It’s hard to express the effect, on me, of finding Bessie Head in the circumstance which I did and losing her so suddenly. After all I never met her. But the fact of Bessie Head’s death, and the circumstances surrounding her last years in Botswana, has always unsettled me. 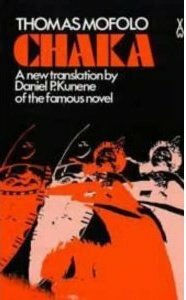 Chaka (spelt Shaka sometimes) is the famous novel by the writer Thomas Mofolo of Lesotho. Written in the Sesotho language and translated by Daniel P. Kunene, it is a re-telling of the story of the rise and fall of the Zulu king circa 1787 – 22nd September 1828. 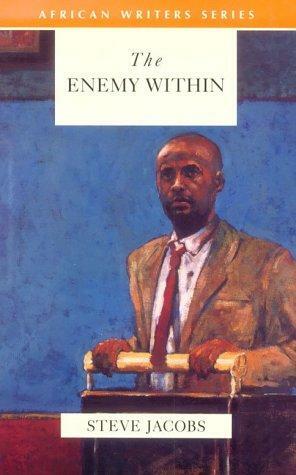 This historical fiction is considered one of the twelve best works of African literature of the 20th century by a panel organized by Ali Mazrui. News of Chaka’s rejection and his illegitimacy spreads through the villages, making him the object of ridicule and persecution. Nandi, fearing for her son’s life seeks the help of her native doctor who strengthens Chaka with potent medicines. After this, Chaka’s exceptional bravery is manifested throughout the land when he kills a lion and a hyena respectively, feats that earns him the adoration of the older women and younger ones. It also earns him the envy and hatred of his half siblings and the villagers and he flees. Chaka’s spectacular rise to power is due to the black magic/medicine/ or sorcery of Isanusi, the great medicine man whose special medicine imbues Chaka with power and exceptional bravery, creating in him a hunger and thirst for unquenchable ambition which is fueled only by the stark need for revenge, culminating in an incessant flow of blood. After the death of his father, Senzangakhona he comes back to his village in grand style and takes over the chieftain. Subsequently after the death of Dingiswayo, king of the Mthetwas and Chaka’s protector, he ascends the Zulu throne as king and embarks upon expansion and consolidation of his empire with such ferocity and speed born out of a singleness of purpose unsurpassed in South African history. Indeed, the historical Chaka is known as the Black Napoleon by many scholars. To quote Mark Anthony from Julius Caesar ‘ambition is made of sterner stuff.‘ Indeed, Chaka proves this when he made a shattering decision to sacrifice Noliwa his betrothed and sister to Dingiswayo, on the altar of ambition and absolute power. Through her death, Chaka becomes an absolute monarch, the greatest, most revered and feared King in all Zululand and beyond. His pathological cruelty also knew no bounds. Significantly, the death of Noliwa also marks the beginning of the end of Chaka. The story is narrated by an omniscient narrator. However, he is the first to admit that he does not know or have all the facts. There are areas where facts and fiction are at variance with each other. However, according to the translator, Daniel Kunene, in just about all these, the effect is to build up greater intensity in the plot and to increase dramatic tensions and suspense by creating new juxtapositions of highly volatile events and situations. An example of the above is Mofolo’s version in the issue of Chaka’s illegitimacy. The historical Chaka was not illegitimate. Mofolo’s artistic triumph here is that since the historical Chaka had a tragic flaw of Archillean stature and proportions, Mofolo had to create attendant circumstances to complement that stature. Another example of divergence comes from the killing of Nandi, (Chaka’s mother) by Chaka in Mofolo’s story. Nandi’s expulsion from Senzangakhona’s household is another area of Mofolo’s variance with history. According to Mofolo, Senzangakhona was very much in love with Nandi and it was only because of pressure from his senior wives that he banished her. But other accounts emphasize Nandi’s volatile temper as the cause of her expulsion. Thomas Mofolo used the African story telling narrative style in Chaka, with its attendant use of repetition of statements and ideas, directly or indirectly, for emphasis. The effect of the narrator’s reference to the audience, inviting them to be part of the story telling and the use of the omniscient ‘we’ reflects an identification with the audience that forms an intricate part of the African oral story telling technique in African Folkloric Drama and Literature. Arguably, the story of Chaka is also a story of greatness, of singleness of purpose, of one man’s heroic achievement in brilliant military strategy. Chaka’s hegemony was primarily based on military might, smashing rivals and incorporating scattered remnants into his own army. He supplemented this with a mixture of diplomacy and patronage, incorporating friendly chieftains, winning them over by subtler tactics, such as patronage and reward. In this way a greater sense of cohesion was created, though it never became complete, as subsequent civil wars attest. The story of Chaka is also a tragic one; where events built around a figure whose very actions or fatal flaw, that is his pathological quest for power leads to his downfall and his death at the hands of his two half brothers and an aid. Sadly and interestingly his death also marked the disintegration of his empire and the beginning of the incursion of the Europeans into what is now known as South Africa. I recommend this great novel for all lovers of historical fiction. Oranges and Lemons is my first of several short stories to be reviewed and posted every Tuesday on this blog. Oranges and Lemons is from the anthology of short stories, Tales of Tenderness and Power, written by Bessie Head, one of Africa’s best known women writers who was born in South Africa in 1937. She died tragically early, in 1986, leaving behind her a fine collection of literary works. Tales of Tenderness and Power was the first of her works to be published in 1989 posthumously. Another anthology, A woman Alone has also been published. Her novels include A Question of Power, When Rain Clouds Gather and Maru. Oranges and Lemons tells the story of two men, Old Ben, who was murdered and Jimmy Motsisi who came to ruin. Old Ben, a butcher, takes delight in serving the neighbourhood with meat every day, making the rounds to deliver special Sunday orders. sometimes, he is not paid, but he delivers all right, even if this kindness makes his pocket empty. This goodness, however, does not prevent the neighbourhood young gangs from murdering Old Ben in cold blood, for the sake of proving their mettle and as a coming of age ceremony. This thugs ruled the townships and villages and “no mother could ever be sure that her young daughter could reach the age of eighteen without either being raped a thousand times or murdered, and murder was a daily affair” p 19. Jimmy Motsisi, on the other hand, is a man highly respected by everyone for his deep love for his wife and six children. He is an exemplary husband and father in the true sense of the word. Goodness and honesty are not hard-won virtues in him but an intrinsic part of a personality pattern, ingrained in him from infancy by his parents. But just how ingrained are these virtues when Daphne Matsulaka sets her eyes on him and decides to break him and remove that ‘smugness’ from his face’? The process of seduction eventually destroys the sanctity of marriage and ruins Jimmy. In telling the two separate stories, Bessie Head’s natural story telling flair comes to the fore and she is able to create a link between the two incidents, drawing on such everyday yet pervasive themes as greed, goodness, poverty, viciousness, infidelity, divorce and the potent power of the ‘other woman’ in destroying a home. The author does not moralise but rather points out in a dry manner that, the foibles of the human character can only be overcome through trials and errors of life, especially when rules can have a way of exploding in one’s face. Bessie Head also draws on her personal experiences in South Africa, while reflecting on her fascination with the people and their history and her identification with individuals and their conflicting emotions. The language is simple and full of dry humour. The author gradually draws the reader into the story so that descriptions of sensitive nature do not assail the reader’s sensitivities. I enjoyed reading this nine page short story and would like to recommend the anthology to anyone interested in African Women Writers. I will be reviewing more of Bessie Head’s short stories, so be on the lookout. The Enemy Within was read for the Back To The Classics Challenge 2012 hosted by Sarah Reads Too Much under the 20th Century Classic Category. Set in Cape Town, South Africa, in the early 1990s, against a backdrop of de Klerk’s rise to power and around the time of Nelson Mandela’s release from prison, the story unfolds through the eyes of a young Jewish lawyer, Jeremy Spielman, a sympathiser of the African National Congress, (ANC) Mandela’s party that fought for an end to apartheid, and for an independent South Africa. Perhaps, it is as a reflection of this leanings, that Jeremy defends, as a pro deo a Xhosa (Black) man David Tsabalala, accused of the murder of his wife and attempted murder of his father-in-law. A prologue describes the murder of Gloria Tsabalala and the near murder of her father by a disturbed and frustrated David, who cannot come to terms with the desertion of his wife at the instigation of the father-in-law. A responsible man, but given to bouts of drinking, he is unable to accept the degrading treatment meted out to him by Gloria’s father who mocks his very manhood and ego through the People’s Courts set up by the Blacks themselves in a bid to get the justice that they think the white settlers had denied them. Against this background, Jeremy struggles to accept and even cope with his girlfriend’s racial hatred and fear of the Blacks. Elmarie, an Afrikaner feels deeply that with the release of Nelson Mandela from prison, the Blacks will take over the land and the White settlers (Afrikaners) would have no future; she mares an otherwise lovely and deeply sexual relationship with her constant snide racist comments and ill humour. Polarised further, Jeremy’s relationship with his mother, Esta, is also not smooth. Esta wants him to marry a nice Jewish girl who understands their ways. Her racism is towards the Blacks and the Afrikaners as well; Jeremy is not able to make up his mind about marrying Elmarie without his mother’s approval. In the end, her death, through a heart attack, gives him a sort of release, though a painful one. The tensions generated by these love-hate relationship force Jeremy to confront his own stance with the anti-apartheid struggle, racism, anti-Semitism, and his faith in an unjust legal system. The boiling cauldron of hatred, unease, tension, fear and crime that was the era of de Klerk, Blacks against Blacks, Afrikaners against Blacks, Afrikaners against Jews, Blacks against Jews were aptly and finely portrayed by Steve Jacobs in the confused and insecure lives of Jeremy and those whom he loved. Jeremy Spielman is pro-ANC and pro-Mandela, but many of those around him – including his mother and girlfriend – either hate or fear the Blacks, and are scared of what democracy might mean for them and the country. For some of these people, like his colleague at the Law Office, Lewis, the only way out is to emigrate to Australia, a route that Jeremy may just have to consider too if he is to remain sane. The author Steve Jacobs is brutal with his descriptions of the people, the hot and relentless climate and the political atmosphere; again a reflection of the times that leaves nothing to the imagination. Amidst this all, the protagonist, Spielman consider the deeper problems faced by South Africa’s Black people beyond the immediate strictures of apartheid. The dark, intense mood of the book reflects the state of the country at the time, but one may ask whether the post apartheid era and freedom, have seen any significant change in the lives of the people of South Africa. I found The Enemy Within enlightening and informative. Though I’m an African, I must admit that I know little about South Africa during those turbulent years. I never even knew that Jews were living in South Africa. (probably some of them stayed behind and were not part of the Aliya Bet to Israel in 1948 and afterwards) I would recommend this book to anyone interested in knowing about South Africa and her struggles in the apartheid era. About the Author: Steve Jacobs was born in Port Elizabeth, South Africa, in 1955. He studied Law at the University of Cape Town, and after a year spent working on a kibbutz in Israel he worked as an Advocate in Johannesburg. He left the legal profession to concentrate on his writing. A collection of his short stories, Light in a Stark Age, was published in 1984 (Ravan Press). This was followed by two novellas, published as Diary of an Exile (Ad. Donker, 1986).